What if I was to tell you that there a tomato that was fuzzy? Well it is true! I got a few of them yesterday. The are small, yellow and have a fuzzy skin. 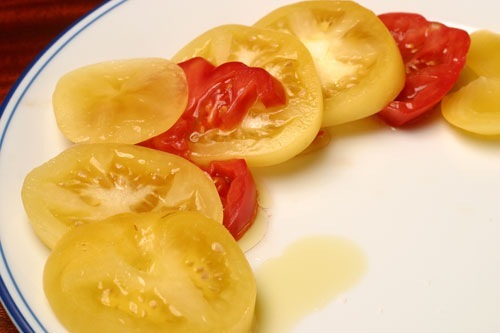 We simply sliced them and added a little salt and olive oil. 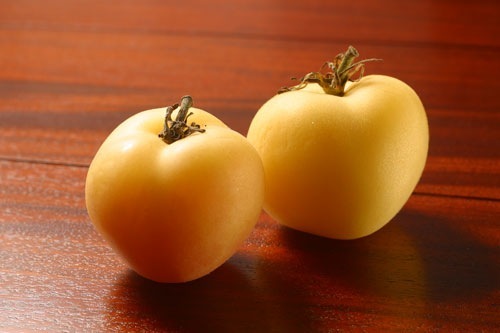 They have a mild flavor, but they contrast nicely with other varieties of tomatoes. I am not quite sure of the variety, but Google tells this is pretty close. It is definitely a pretty rare variety and a nice way to mix it up.